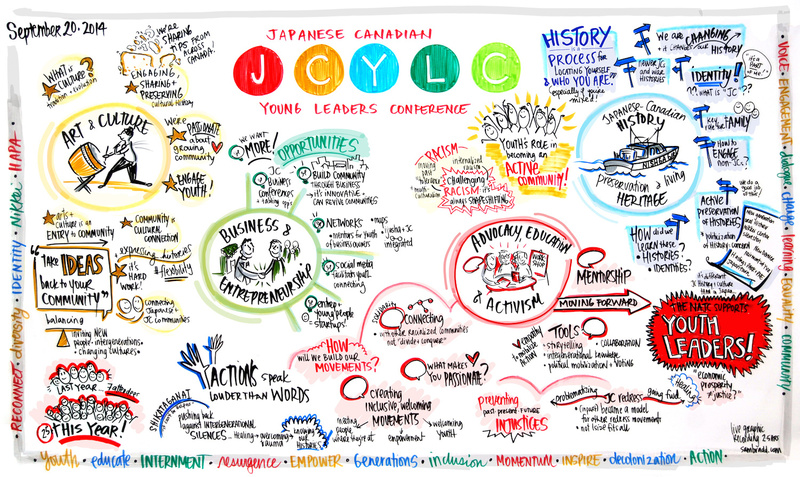 The 2014 Japanese Canadian Young Leaders Conference (JCYLC) made its mark in the history of the Japanese Canadian community. This year, over thirty young Japanese Canadians from across Canada met in Vancouver, British Columbia; and the ideas that were expressed, the connections that were made, and the spirits that were raised are a true testament to the capacity of youth to inspire. Delegates discussed the need to remember and to situate oneself in relation to the past—in relation to the internment that came as a result of the order-in-council that was passed under the Defence of Canada Regulation of the War Measures Act; in relation to the period of first-wave immigration (as Consul General Seiji Okada pointed out on Saturday, the Japanese Consulate opened in 1877); and in relation to the historical and ongoing Redress Movement. Equally important to young leaders, however, was the need to recognize the present, and to understand that the meaning behind the words “Japanese Canadian” is constantly shifting and growing with post-internment immigration and, increasingly, hybrid cultural and ethnic identities. This need for a dual recognition of both the past and present was perhaps most exemplified in the discussions surrounding education, advocacy, and activism, wherein delegates were faced with the realities of the past and present while actively looking toward the future. Young leaders envision a future of healing, inclusive movements, solidarity with other racialized communities, collaboration, and, crucially, mentorship. 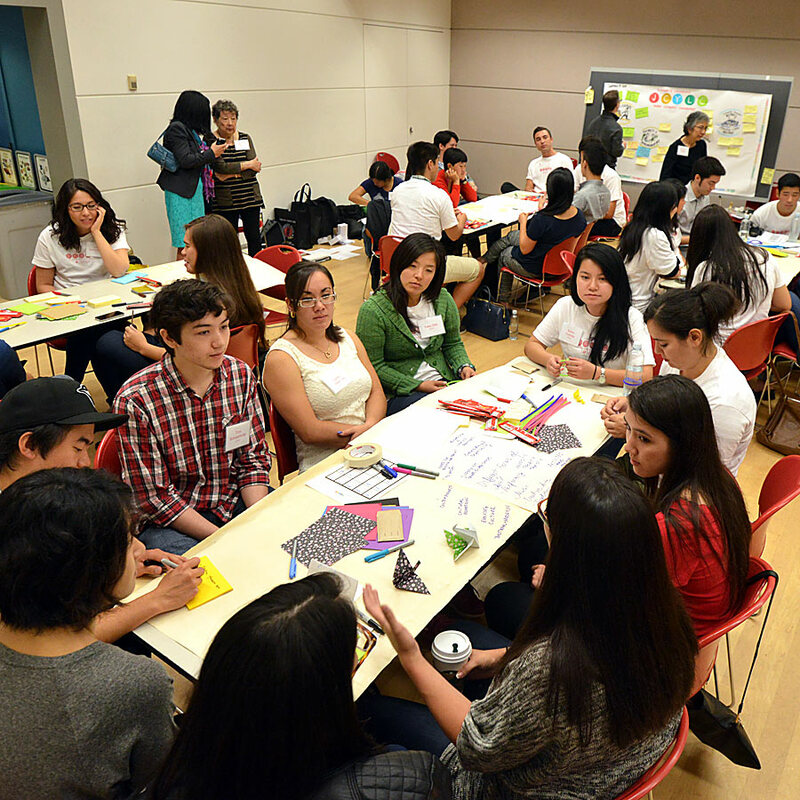 Photo of Young Leaders during the 2014 JCYLC break-out session on Sat, Sept 20th; by Koichi Saito. While exploring avenues of history and activism, delegates also spoke to the significance of business and entrepreneurship in Japanese Canadian communities. Given the connections made and the ingenuity that was demonstrated at the 2014 JCYLC, the extent to which we can learn from and support one another in entrepreneurial goals is huge. While business and activism are often viewed as somewhat distinct topics, this conference demonstrated that actually, celebrating our present-day inventions, innovations, and skills in the form of business is a powerful way of creating and maintaining community. And certainly, creating and maintaining community was a priority for many young leaders, who shared everything from ideas, to values, to fundraising strategies in their respective Japanese Canadian arts and culture groups. Noting that many arts and culture organisations are volunteer-run and/or non-profit groups, delegates explored the reasons why they choose to support nikkei arts and culture in their communities. For young leaders at the 2014 JCYLC, nikkei arts and culture is a place where tradition meets evolution, where older generations meet newer generations, where “Japanese” meets “Japanese Canadian,” and where, ultimately, one can engage a community and belong. While taking place concurrently to the National Association of Japanese Canadians’ Annual General Meeting, and supported locally by the Greater Vancouver Japanese Canadian Citizens’ Association, the delegates of the JCYLC were also able to engage in intergenerational dialogue that really exemplifies the type of mentorship that is so necessary for meaningful and positive growth in the Japanese Canadian community. To all of our gracious sponsors, hosts, and volunteers, thank you! Stay tuned for post-conference details, and be sure to connect with us on social media! This entry was posted in Conference Update on October 6, 2014 by JCYoungLeaders.